The Ravelympics is really about personal challenge (no unfair disqualifications here) and so it seemed appropriate to use a project which includes some new-to-me techniques. Kate Davies' pattern uses two colours. I bought a plait of natural-colour masham wool at Wonderwool last year to make this teapot. It seemed appropriate to make the sheep multi-colours, and I'm very pleased with the result. This was a challenge because if knit in the round as per the pattern, then there would be 4 colours in some rows. 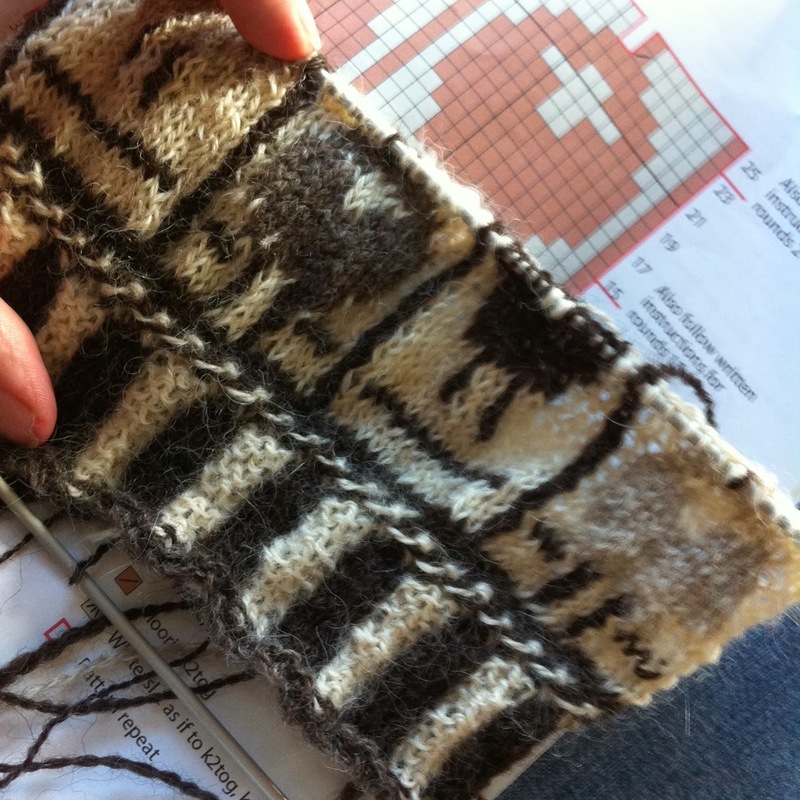 I hate floats and ends and so used intarsia (still a lot of work to weave in ends!) 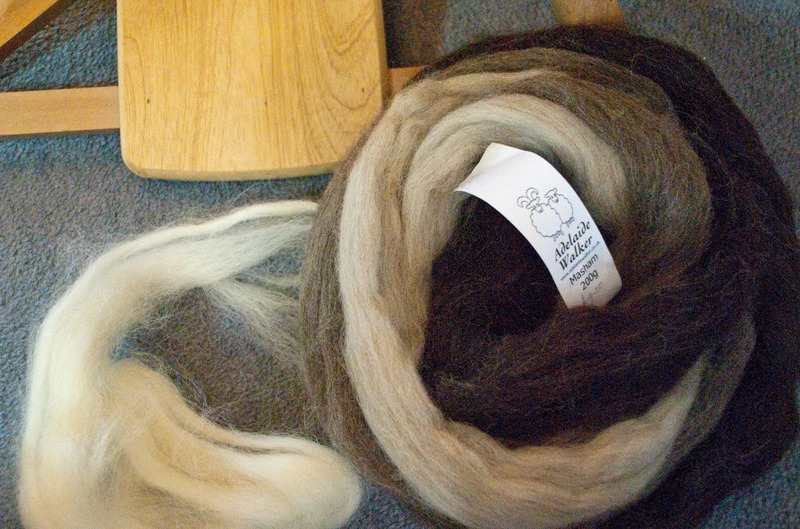 That means knitting two sides and joining them rather than knitting it in the round. It was a little bit of a cheat to buy the teapot after making the cosy. It's a little bit tight but I'm hoping it'll give a little when it's washed and blocked. 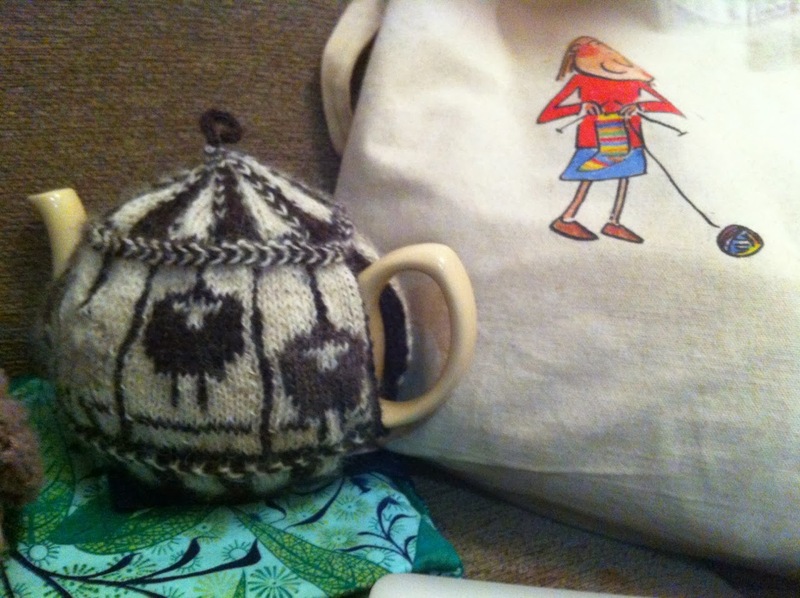 I love this tea cosy! 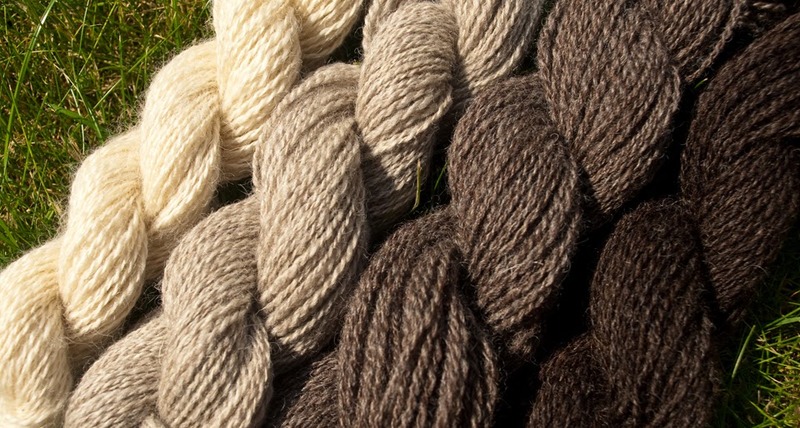 perfect choice of wool....I'd love to try this. Please do try it. I really enjoyed it and I'm sure you will too. I've just edited the post to include a link to the pattern.